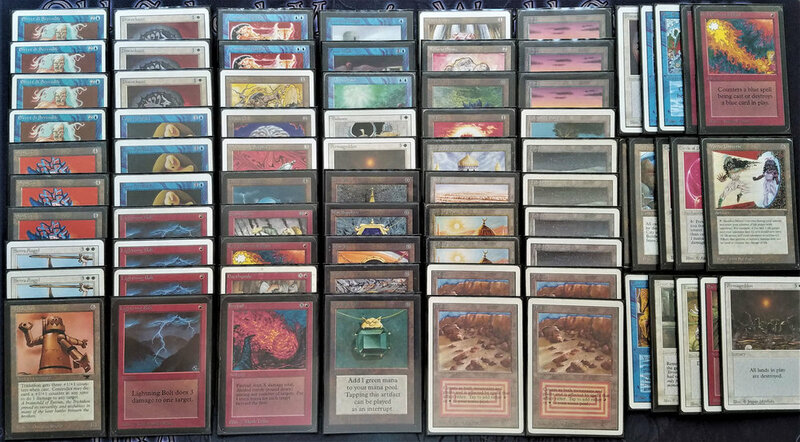 142 skype matches, 40 decks and one winner! Today we have another guest post, this time by the great Dave Firth Bard. You may recognize his name from Reddit where he almost single handedly publish all old school content from the web on the old school sub reddit. 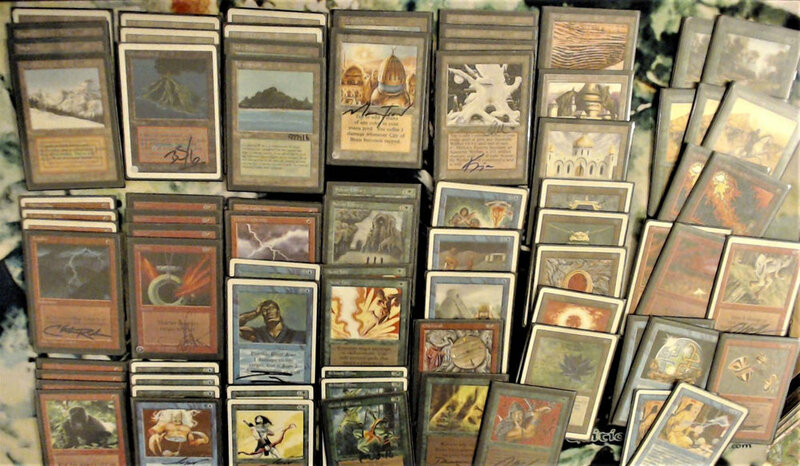 You may also recognize the name because he is one of the main figures when it comes to playing old school over Skype. Or maybe you just know his name because he is very active in all old school forums there is. 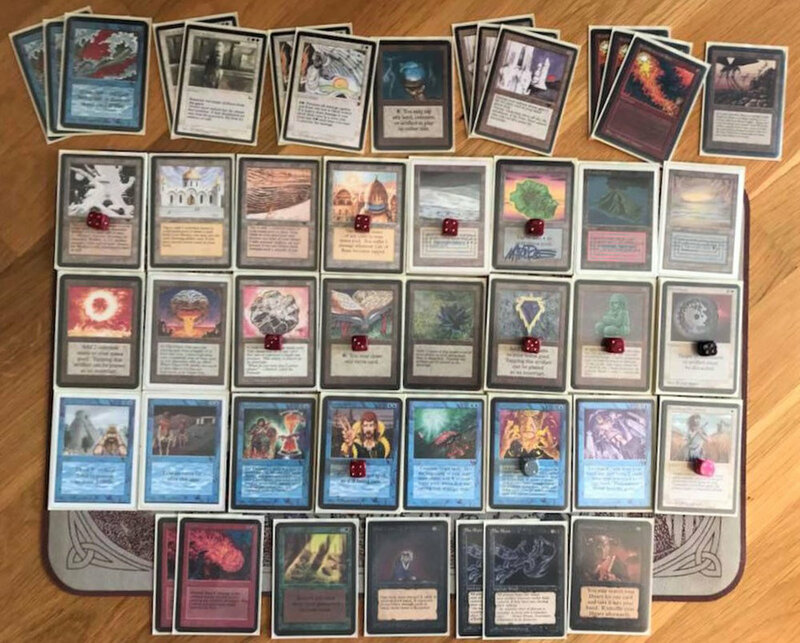 He is one of the most active guys I know and a true supporter of the community and format so I'm glad to be able to publish his report from the latest Skype tournament, the 2018 winter Derby, here on the blog. I hope you enjoy his report as much as I do! The 2018 Winter Derby is now in the books! 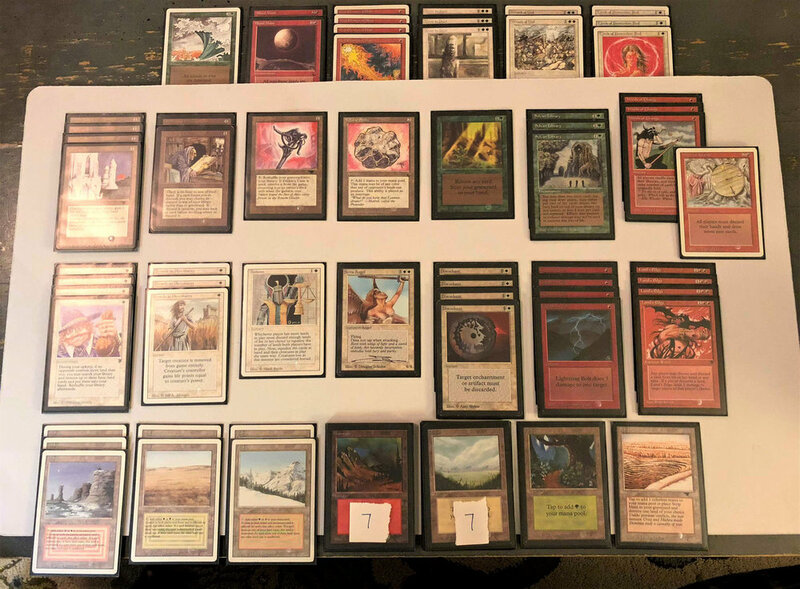 The Winter Derby is an online Old School 93/94 Magic tournament, open to anyone with a webcam and the willingness to turn old cardboard sideways with fellow players on the other side of the ocean. This year’s event saw 41 participants, representing ten countries (Belgium, France, Germany, Japan, Netherlands, Norway, Russia, Sweden, United Kingdom, United States) spread across nine different time zones. Over the course of five weeks (late December through January), we played a total 142 matches, spanning seven rounds and Top 8. And the stakes? Mostly just glory and bragging rights, along with an invitation to n00bcon X for the victor. This marks the second year that a n00bcon invitation has been allocated to our international community of 93/94 webcam players. (There is a good interview with Gregory Protic, last year’s Skype group delegate for n00bcon 9, available here on the Flippin’ Orbs podcast.) 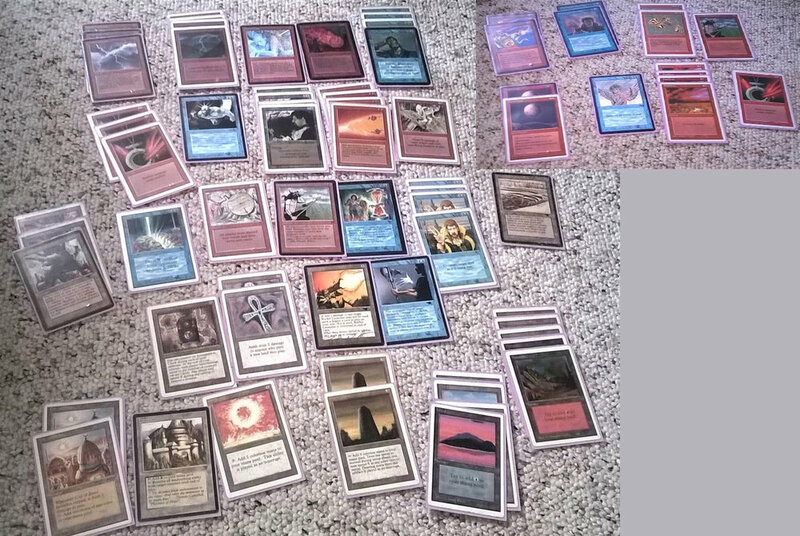 Playing Old School using a webcam on Skype or appear.in is an excellent way for players from small local playgroups -- or players with no local playgroups at all -- to find some opponents and start jamming games. And, through the Winter Derby, those players have a unique route to secure a n00bcon invite, especially if they are not associated with one of the established 93/94 communities that already receive invitations. But how does it all work? How can we have a tournament when the players are scattered all over the globe, and all with jobs and kids and busy schedules? Organizing a webcam tournament on a single day or weekend seems like it should be possible, but in practice that would require each player to devote six or seven hours in a solid, uninterrupted block of time, with the Americans playing in the early morning, the Europeans playing in the afternoon through the evening, and players further east all but prohibited from the action without seriously sacrificing their sleep. And, bear in mind that many of us who play Old School on Skype have real-life obligations that make playing all day on a Saturday very unlikely, if not totally out of the question. So, the structure of the event has to match the needs and habits of the group. When pairings are posted, the players have about 10 days (always including two weekends) to schedule their matches at a time that works for both their opponent and themselves. Less than 10 days would make it difficult for players to participate if they had to be away for a weekend, and more than 10-14 days would make the event much too long to reasonably commit to, and more difficult to keep player attention and momentum. Unfortunately, this also means that having a tournament with true Swiss pairings is unworkable; if we waited for each match in a round to be scheduled and finished in a 10 day window, it would easily take 2-3 months to complete six or more rounds of Swiss. So instead, we assign multiple pairings for each player at the same time, and post them together in batches. This allows for three or four “rounds” to be completed within the same 10 day span, with fully flexible scheduling for the players. The results can then be compiled all at once, after which a new batch of pairings is posted. 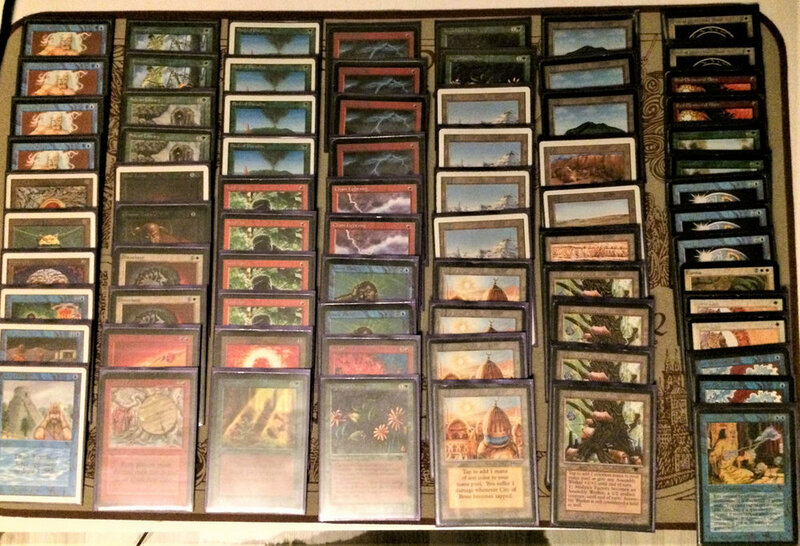 We had experimented with different ways of doing batch pairings during previous instances of the tournament -- the 2017 Summer Derby and the first “Web Qualifier Derby” in 2016/17 -- and our tinkering continued this time: we introduced a “group stage” batch, in which players were assigned to self-contained round robin pods of four players each, according to geography and interest in competing for the n00bcon invitation. After the group stage, players were assigned four new opponents: two according to Swiss pairing rules (based on overall standings), and two completely randomized. A few outcomes were worth noting. Players reported that the scheduling for the group stage batch was easier than other batches historically, which was to be expected because of the initial group arrangements by time zone. We also found that by the end of seven rounds, there was a much wider spread of OMW% than one would see in a typical Swiss tournament structure. For example, of the six players with 15 points (5-2 record), the OMW% ranged from 55.1% to 41.5%. Players generally saw more variance in their different paths through the event than they would with a Swiss pairing structure, in which players who continue to win are guaranteed to be paired against successively stronger opponents. In a straight Swiss tournament, after seven rounds, an event with 41 players would have a maximum of one player remaining at x-0, whereas we ended up with two players entering the Top 8 with unbeaten records. Players reported back throughout the event on our community Facebook group, and lots of funny stories and interesting interactions were shared. Perhaps my favorite tale was of Paul using Ring of Ma'rûf to wish for a Celestial Prism from the sideboard, later using it to make blue mana to cast a Spell Blast. 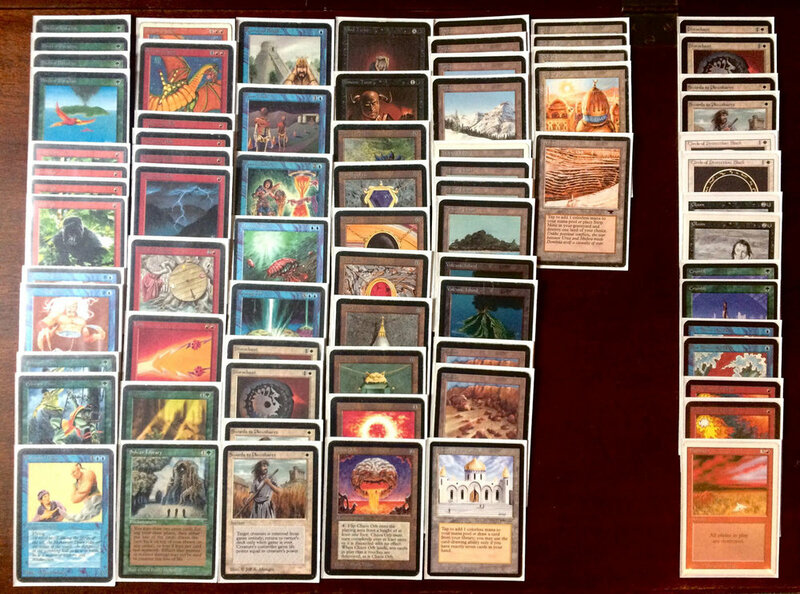 Old School really never ceases to amaze me, as even now, in The Year of Our Lord 2018, we are still seeing utterly novel combinations, board states, and lines of play that may very well have never occurred in the history of the game. And all of that using cardboard printed 25 years ago, and experienced face-to-face across thousands of miles via a virtual platform. 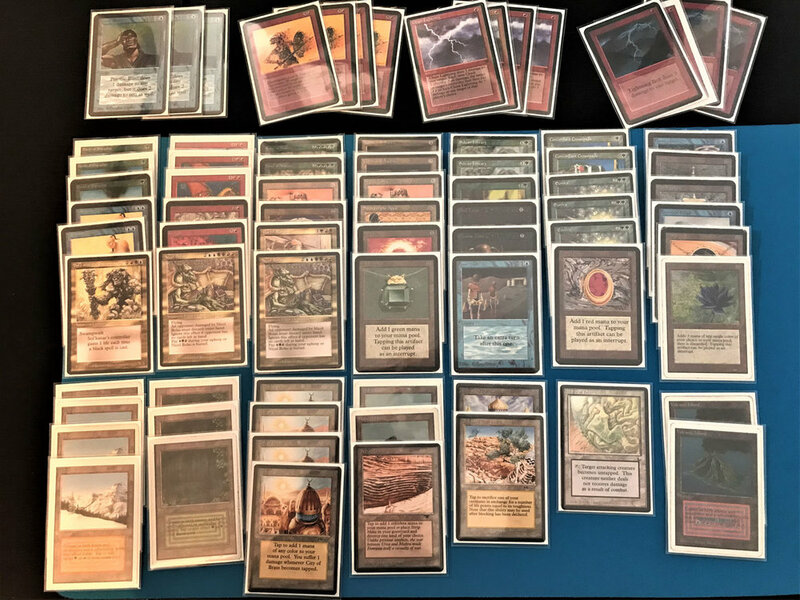 For my part, I piloted a UWR goodstuff pile mainly containing just “cards that I like,” including zero copies of Swords to Plowshares in my 75. 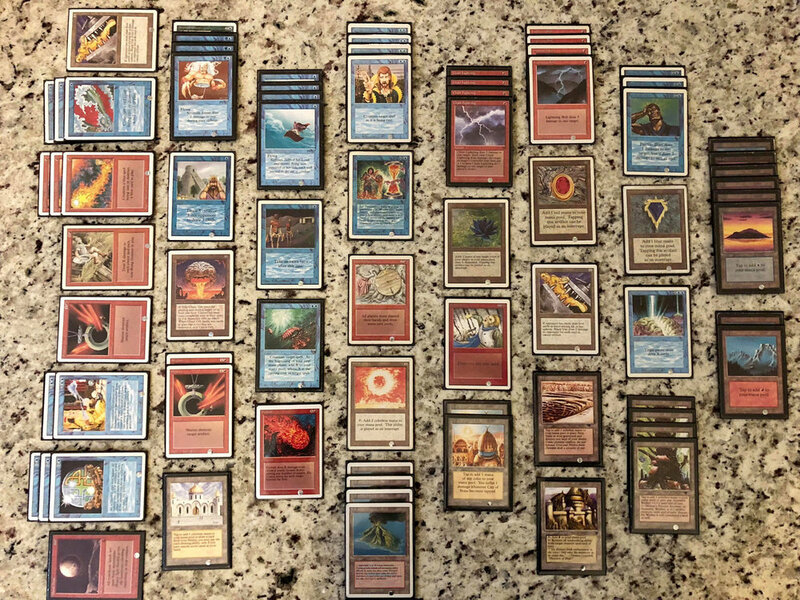 Florian rightly called it “not really a deck,” but I was able to catch enough luck and Copy Artifact enough Orbs to crack the Top 8, along with my fellow New England Old School players Scott (Grixis Disco) and Xanadude (Esper Goodstuff). Hearing reports of friends from my local group squaring off against great players from Europe and elsewhere made me very happy indeed. 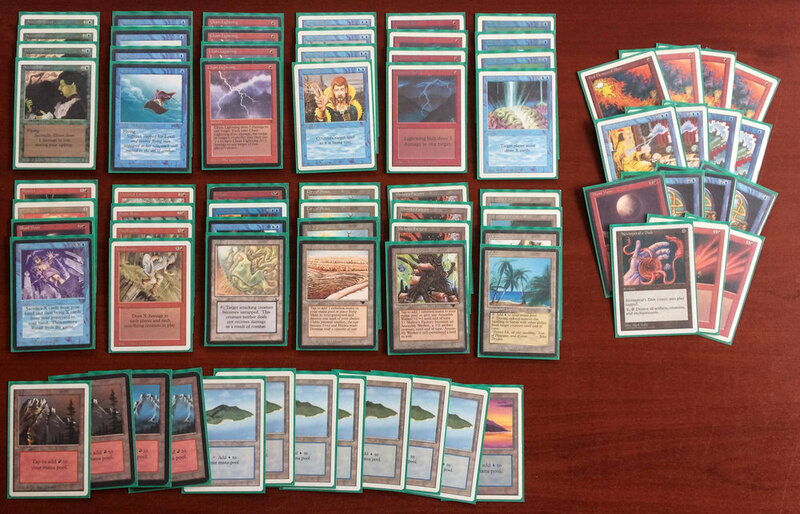 I ended up losing in the quarterfinals to Bryan Manolakos and his aforementioned Skull of Orm deck -- an undeniably sweet brew that makes good use of Diamond Valley, one of those lands that you don’t see as much in the States because of all of the Strip Mines flying around. Bryan went on to edge out Svante Landgraf (Power Monolith) in the semifinals, and John Grudzina (The Deck) bested Eliot (RUG Aggro) in the quarters and Joep (GWu Midrange) in the semis, setting up a final match between two Americans who had actually just played together in real life at the Top Deck Games 93/94 event in New Jersey that same week. 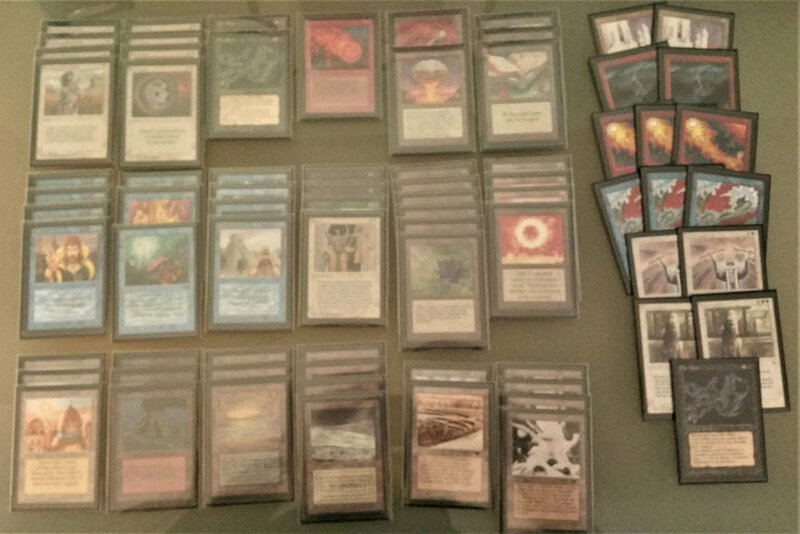 The resulting “subway series” -- or, I suppose, New Jersey Turnpike series -- featured a thoroughly classic control list against an innovative upstart control list, and the action was streamed on Twitch with commentary provided by Christopher Cooper. Grudzina on his way to sealing game 3 with an enormous Braingeyser. 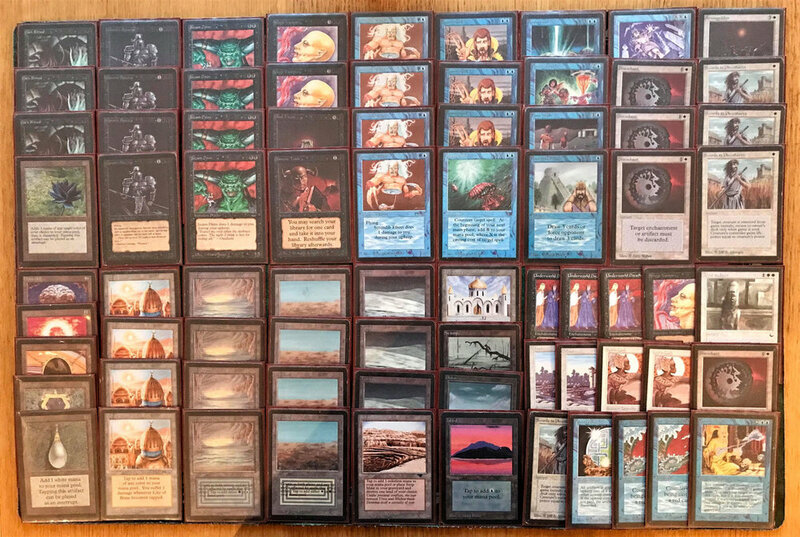 When the dust settled, John Grudzina emerged with a 3-0 victory, and quickly confirmed that he was both willing and able to represent the Old School webcam player community at n00bcon X in Gothenburg this year. Easily the most fulfilling part of the Winter Derby experience for me was seeing players who I have known for several months (or even a couple years now) in the Skype group playing against each other for the first time, and Skype players I know from various parts of the U.S. or elsewhere playing against friends from my local community. I lost count of the number of times during the tournament that I said, “Wow! I can’t believe you two didn’t know each other before -- you really should know each other, I think you’d get along great and I’m glad that you were finally able to play Magic together.” I continuously got positive feedback and good vibes back from all of the players, which is really all you can ask for as a tournament organizer… truly the only goal is to make sure everyone is comfortable and having fun. And in terms of the n00bcon X invitation, I also believe that our goals were met: this year’s “Web Qualifier” went to a player who wouldn’t otherwise have had a clear path to Sweden. 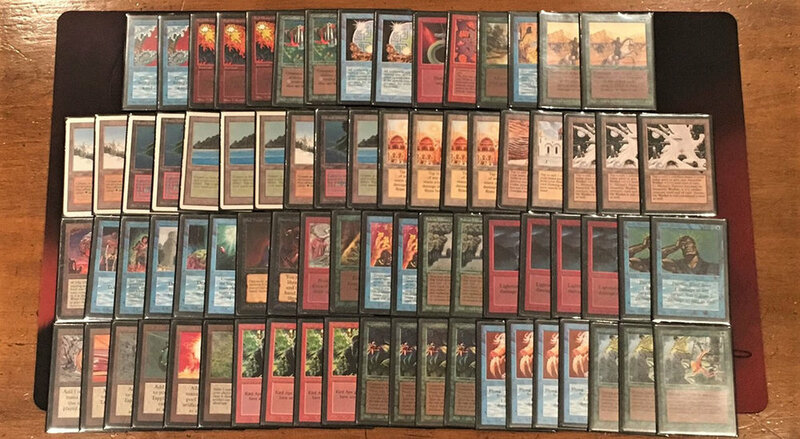 While New York is one of the biggest cities on the planet, I think that in terms of Old School, it is still a rather small community (albeit gaining traction recently, through the efforts of Paul aka @8bit_mtg and others) and well-deserving of some representation at 93/94’s big dance. The “group stage” pairing method was designed in part to make certain that the winner of the n00bcon invite would have been matched against others in the tournament who were serious about competing for and using the bid if they received it, and that’s exactly how it shook out in the end. So congratulations again to John, and to all of the participants in this year’s Winter Derby, thank you for playing! I hope you had as much fun as I did. And finally, if you are out there in Old School land and want to get in on the webcam game action with us, by all means join the Facebook group. And if Facebook really isn’t your thing, there’s a Discord channel you can check out as well to try and pick up some games.